Prior versions all use the [availability-search]shortcode. We recommend switching to [availability_search] for 1.6 +. Check the current available version. Reach out to support if you’d like to test the latest development version. Any of the parameters in the shortcode will be prioritised over the default settings. You can specify the category_dropdown parameters to be true. This will enable a dropdown selector that includes all of your product categories. You can use the category dropdown together with the category_include parameter. This will only include the specific categories. Any product that’s not in the category will not show up in the search results. 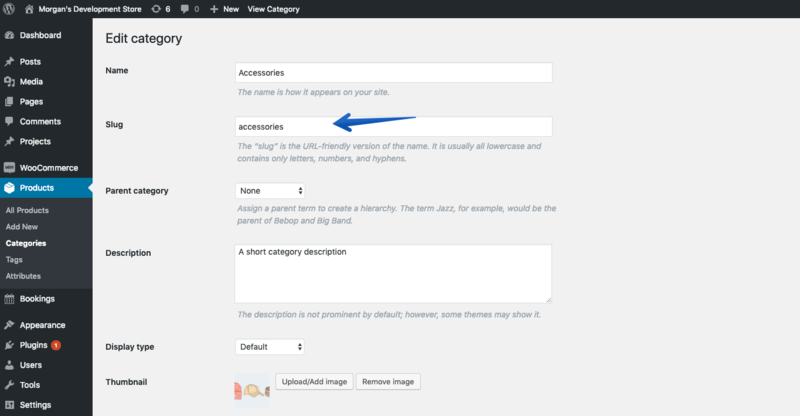 You’ll need your category slugs, which you can find under the WooCommerce product categories settings. Comma seperate the categories to include multiple categories. Limit the dropdown options by adding the category_include parameter with the slugs of your specific categories. You can find the slug under the WooCommerce product category settings. You can also add multiple categories by using a comma separator. You can mix parent categories and subcategories slugs inside the category_include include tag. When category_subcategory="true" the category dropdown will display all subcategories of any parents categories.